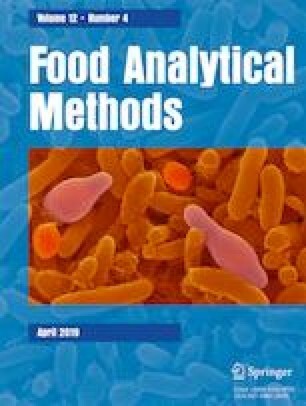 Sample preparation techniques for the analysis of vitamin D3 in food matrices typically utilise a saponification step, either at room temperature or at elevated temperatures. A calciferol (vitamin D2 or isotope labelled vitamin D3) is generally chosen as the internal standard to compensate for changes of previtamin D3–vitamin D3 isomerisation during analysis, as well as to correct for analyte loss through complex sample preparation steps. Manufacturing practices and processing parameters contribute to previtamin D formation in food products. A significant proportion (5.6–8.3%) of the total vitamin D3 in premixes was found as previtamin D3, indicating that it is likely, depending upon storage temperature and the time since manufacture, that a vitamin D3-fortified food product will contain a similar proportion of previtamin D3 prior to analysis. Conversely, freshly prepared internal standard solutions have low previtamin D levels (< 1%). In lieu of direct measurement, this discrepancy in previtamin D content between the internal standard and analyte forms of vitamin D will lead to analytical bias. To mitigate this as a source of potential error, it is recommended that sample pretreatment steps are appropriately set and controlled. Based on this work, saponification times greater than 300, 120, or 60 min for temperatures of 60, 70, or 80 °C respectively should be employed and that saponification at room temperature be avoided. The authors acknowledge the support of Fonterra Co-operative Group Ltd.
Brendon Gill declares that he has no conflict of interest. Donald Gilliland declares that he has no conflict of interest. Harvey Indyk declares that he has no conflict of interest. Jackie Wood declares that she has no conflict of interest. David Woollard declares that he has no conflict of interest.